I thought it high time to give a little realistic update on two programs I recommended a few months ago. To read my original Guides to Sidetick and Swagbucks, click here. I've been using Sidetick for about two months, now, and just received my first payout through Paypal. I deposited it into my banking account, and can now spend it as I wish. For a brief period in late September, Sidetick added a 3rd requirement for the $15/month program, which was to fill out two surveys a week. The Sidetick users complained and so the program went back to the original two steps. I'm happy with that, and with the income! $0.50 a day, "guaranteed," just for clicking on "messages" and then answering a simple question, like, "If you won the lottery, how would you spend the money?" If you want to sign up with Sidetick, I'd really appreciate it if you'd use my referral link. I've actually now made far more with Swagbucks than with Sidetick, because of three active-user referrals. With Swagbucks, you get points every time your referral wins points for searching (up to 1,000 points). Without referrals, it takes about two full weeks of regular use to score a $5 Amazon gift card. 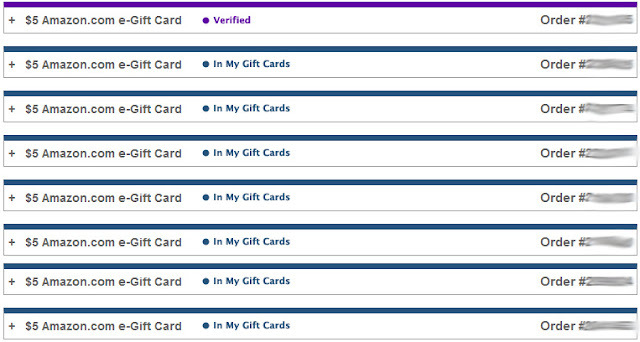 With three active referrals, I didn't touch Swagbucks for a week and I still got a $5 gift card in that one week! In 2 months, I've gotten $40 payout (again, not enough to get rich, but I'm not griping!). If you can get a sibling or a friend to sign up and use it, your payouts will be a lot quicker than if you go it alone. If you plan to be an active Swagbucks user, I'd appreciate it if you'd sign up through my referral link. Thanks, and happy searching!